Hi Everybody!!!! !......TODAY IS MY BIRTHDAY!!! !.....I AM 88 YEARS OLD!!!!! !......WOO HOO!!!!! Some of you have asked, "What do you want for your Birthday, Tippi?....Anything special?". I thought for a few minutes and said, "Yes, it would be special, but it's not for me. I've got too much' stuff! At this point in my life, I'm going to be...88!!!!!" Retirement is a four letter word as far as I'm concerned, but, you know what I would really love??? ?....I've been rescuing the Big Cat in captivity since 1973...I have been Founder and President of the ROAR Foundation since 1983 to support The Wild Ones of Shambala. I've been in charge of raising the funds to support these magnificent Big Cats, all born in the U.S. to be sold as a pet or for financial exploitation. This has been an amazing life, one I would not change a single day for any pipe dream life of riches and elegance for anything. I've never taken a salary nor have I been paid on any level from the Roar Foundation. 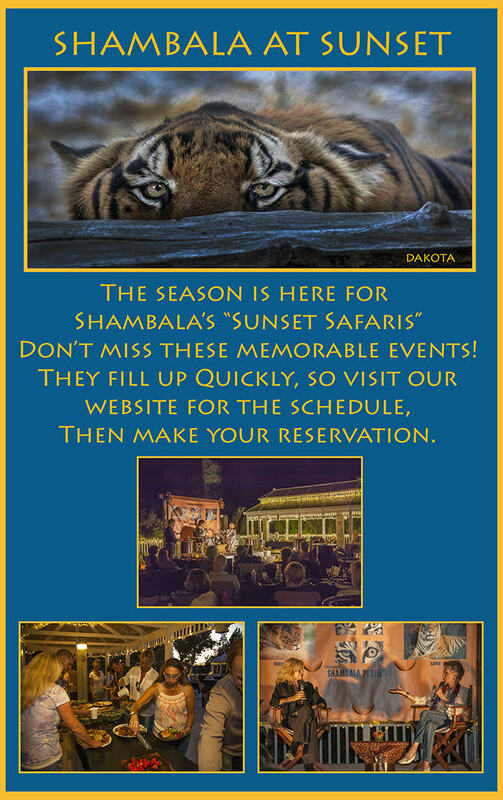 Yes, $88,000.00 for The Roar Foundation to support the magnificent Wild Ones at the Shambala Preserve, in my name! 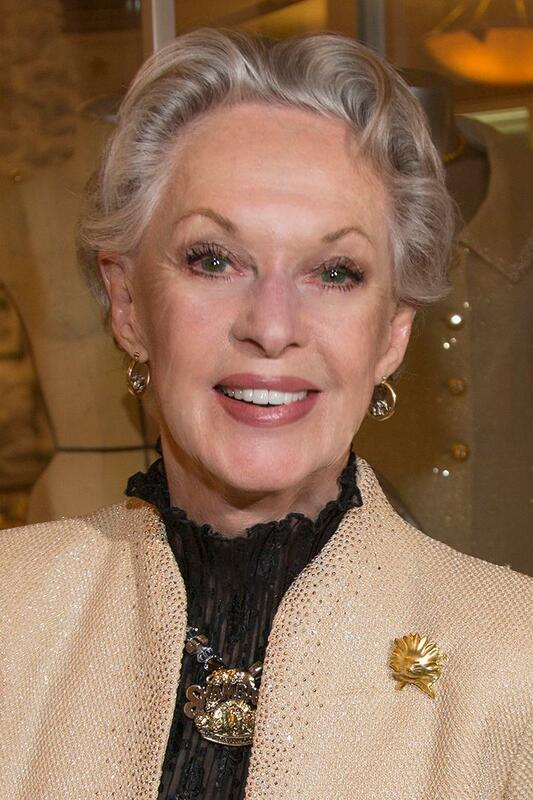 Tippi Hedren...You may donate any amount. You could donate, eight dollars & eighty eight cents, eight hundred eighty dollars, eighty-eight dollars, eighty-eight thousand dollars....In my name!! I'm very excited about my birthday this year....because it will all be benefiting the most important animals in my life!!!!!! To those of you who responded to my last birthday request, I'm so hoping you will remember how successful that program was in benefitting the Magnificent Wild Ones. Thank you, for reading this and acting upon it, and I'm so hoping to see all of you at Shambala this year, over and over again!!!! Thank you so much, for caring!!!!!!! !....From all of us at Shambala, Animal and human!!!!! !.......We hope to see you,.... soon!!!!! Monaco – In a move indicative of China’s growing influence as a leader in environmental protection, visionary philanthropist and entrepreneur Madame He Qiaonyu, through her Beijing Qiaonyu Foundation, has joined forces with Panthera, the global wild cat conservation organization, and WildCRU, Oxford University’s conservation research unit, to protect big cats and their vast landscapes within China and beyond. It is the first international partnership for the Foundation, which envisions establishing the largest collaboration for biodiversity conservation in the world. $20 million over the next 10 years to fund conservation programs devoted to the protection of big cats both inside China and around the world, focusing on 10 “at-risk” areas to be determined by Beijing Qiaonyu Foundation with Panthera and WildCRU. The partnership will be announced tomorrow in Monaco in conjunction with a meeting of IUCN’s Patrons of Nature, of which Madame He is a member. Madame He is Founder and Chairman of Beijing Oriental Landscape and Ecology Co. Ltd., the largest landscape architecture company in China. Since establishing Beijing Qiaonyu Foundation in 2012, Madame He has become a force in Chinese philanthropy, investing in such areas as female entrepreneurship, ecological education, and climate change, and is setting the standard in China for emerging philanthropists. In 2017, Beijing Qiaonyu Foundation introduced an ambitious vision for nature conservation, unveiling an accelerated seven-year plan to protect 28 critical habitat areas within China and conserve dozens of flagship animal and plant species. The Foundation plans to leverage its investments through high-profile partnerships within China and beyond, adopting and applying best practices to achieve its objectives and developing models for conservation worldwide. As the newest member of Panthera’s Global Alliance for Wild Cats, Madame He joins Thomas S. Kaplan and Daphne Recanati Kaplan, His Highness Mohamed Bin Zayed, the Crown Prince of Abu Dhabi, and Hemendra Kothari—among the world’s leading environmental philanthropists—in an international collaboration to preserve large-scale wildlife habitat and biodiversity around the globe by protecting the big cats. US$1 million to build out their comprehensive snow leopard conservation program in China, now in the early stages of development. The program will focus on two pilot sites to be determined, with the goal of expanding over time into the larger geographical range critical for the species’ survival. Addressing one of the most pressing cat conservation crises globally, Beijing Qiaonyu Foundation will also contribute US$1 million to lion conservation in Africa with a focus on the geographies and populations most at risk. Due primarily to bushmeat poaching and conflict with humans, lion populations have plunged by more than 40% in the past two decades. Today, just 20,000 lions remain, occupying only 8% of their historical range. However, research shows that lions can thrive in large, well-protected landscapes with secure buffer zones, providing hope for the future. And, in a third component of the partnership, Panthera, WildCRU and Beijing Qiaonyu Foundation will design and implement a joint wildlife management training program for Chinese conservationists working in the newly formed conservation areas in China. The training courses will be tailored for application both in the classroom and in the field. The Global Alliance for Wild Cats was formed in 2014 to convene the world’s most visionary conservation thinkers across borders and cultures in a shared commitment to protecting big cats and their ecosystems. The Global Alliance invests in deploying at scale the most effective solutions for mitigating their primary threats: poaching for the illegal wildlife trade, human-cat conflict, loss of prey species, and the loss and fragmentation of habitat. Madame He is pioneering a burgeoning philanthropic movement in China, providing inspiration to a new generation of philanthropists across a broad spectrum of interests, including many focused outside of China for the first time. She is a founder with Bill Gates, Ray Dalio, Niu Gensheng, and Ye Qingjun of the Chinese Global Philanthropy Institute, an organization dedicated to cultivating the development of philanthropy in China and around the world. Panthera, founded in 2006, is devoted exclusively to preserving wild cats and their critical role in the world’s ecosystems. Panthera’s team of leading biologists, law enforcement experts and wild cat advocates develop innovative strategies based on the best available science to protect cheetahs, jaguars, leopards, lions, pumas, snow leopards, and tigers and their vast landscapes. In 36 countries around the world, Panthera works with a wide variety of stakeholders to reduce or eliminate the most pressing threats to wild cats—securing their future, and ours. Visit panthera.org. The mission of BQF is simple and straightforward: to protect the earth and nature, and conserve biodiversity. We aspire to become one of the most influential Nature Conservation Agencies in the world. David Macdonald founded the Wildlife Conservation Research Unit (WildCRU) in 1986 at the University of Oxford. Now the foremost University-based centre for biodiversity conservation, the mission of the WildCRU is to achieve practical solutions to conservation problems through original research. WildCRU is particularly renowned for its work with wild carnivores, especially wild cats, including its long-running studies on lion and clouded leopard. Its training centre for early-career conservationists, so far from 32 countries, produces experts and future leaders in global conservation. Visit wildcru.org. New York, NY – Panthera, the global wild cat conservation organization, today announced that it has convened more than 60 of the most respected figures from the worlds of business, law enforcement, government, fashion, media, entertainment, tourism, the military, and the arts in its Conservation Council, a global advisory board. In a commitment of service unprecedented in the conservation community for its diverse scope and potential impact on the preservation of the world’s wild cats and their critical ecosystems, influential leaders in multiple fields, including Jeremy Irons, General David Petraeus, Sir Norman Rosenthal, and artist Maya Lin, have joined forces to save the world’s most charismatic wildlife. Glenn Close and Jane Alexander, renowned stars of stage and screen and committed conservationists, will chair the Conservation Council, which, with its collective reach and influence, creates a conservation juggernaut to be unleashed on saving the world’s vanishing wild cats and their landscapes. Ms. Alexander added, “When we think of freedom, when we envision the great predators that roam the forests, the mountains and the savannahs, the tiger comes to mind, the lion, the jaguar and the leopard. It is thrilling to share our planet with them. And as top predators they keep it in balance. Members of the Conservation Council provide Panthera with actionable advice on a wide variety of topics fundamental to the growth and development of the organization, including strategy and operational planning, communications, and expansion of Panthera’s network. The Council members’ global reach into the worlds of public policy, media, and entertainment will serve to extend Panthera’s message to new audiences and open up new avenues of support. Among the Council’s members are some of the most notable names in their respective fields, including singer Shania Twain and leading conservationists Kris Tompkins, former CEO of Patagonia, as well as Fashion Week founder Fern Mallis, author Wilbur Smith, ProPublica’s Andrew Revkin, the BBC’s Kate Silverton, and MSNBC political analyst Nicolle Wallace, to name a few. Appointees to the Conservation Council are voted on to the Council by Panthera’s Board of Directors for their ability to provide valuable expertise and guidance that complements the skills of Panthera’s boards and staff. Panthera is also guided by its Scientific Council, made up of some of the world’s leading cat biologists, which advises the organization on science and policy matters. Award-winning Singer and Songwriter and Panthera Global Leopard Ambassador, Shania Twain, said, "The image and spirit of the leopard is an inspiration to millions around the world, including myself. I feel privileged to give back to a creature that depends for its future on what we do now to save it… and I urge the wider world to join Panthera and me in this mission." Panthera, founded in 2006, is devoted exclusively to preserving wild cats and their critical role in the world’s ecosystems. Panthera’s team of leading biologists, law enforcement experts, and wild cat advocates develop innovative strategies based on the best available science to protect cheetahs, jaguars, leopards, lions, pumas, snow leopards and tigers and their vast landscapes. In 36 countries around the world, Panthera works with a wide variety of stakeholders to reduce or eliminate the most pressing threats to wild cats - securing their future, and ours. Visit Panthera.org. Board Member, Moore Global Investments Ltd.
Art Historian and Dealer, Otto Naumann Ltd.
Former CEO of Patagonia, Inc.
New York, NY – Panthera, the only organization dedicated to conserving the world’s 40 wild cat species, today launched the Journey of the Jaguar – a three-year, ten-nation odyssey from Mexico to Argentina that seeks to secure a future for the Americas’ largest wild cat. Sixteen years after first identifying the Jaguar Corridor, Panthera CEO Dr. Alan Rabinowitz, accompanied by Jaguar Program Executive Director Dr. Howard Quigley, will lead the first-ever attempt by man to traverse this six million km2 landscape with the singular mission of accelerating progress to protect it. With Panthera’s scientists and partners, they will assess the state of the jaguar, the integrity of its wild landscapes, and the areas most in need of conservation attention throughout its range. Shining a light on the importance of the jaguar to ecosystems, economies, and cultures across its range, Drs. Rabinowitz and Quigley will traverse Latin America’s wild landscapes in a race against time to move governments, corporations and communities to take decisive steps to save the jaguar and the incredible diversity of plants and animals, including people, that depend on its survival. Embarking this week on the first official expedition of the Journey of the Jaguar, Drs. Rabinowitz and Quigley have joined Northern South America Jaguar Program Director, Dr. Esteban Payán, in northern Colombia to explore the nearly impassable Darien gap where Colombia meets Panama; conservation challenges and opportunities that exist in Urabá, home to Colombia’s mangrove saltwater-dwelling jaguars; and the San Lucas Forest, the critical link connecting jaguars in Central and South America. Stopping off at Panthera’s conflict mitigation model ranches, the team will also visit the site where Panthera captured the first ever photos of a wild jaguar with cubs in an oil palm plantation, underscoring the significance of building sustainable agricultural plots that minimize impacts on migrating wildlife. Creating refugees out of wild cats, habitat loss and fragmentation caused by human developments like oil palm monocultures is one of the greatest threats facing jaguars, alongside killings in retaliation for livestock depredation and overhunting of prey species. Panthera’s Jaguar Corridor Initiative seeks to connect and protect the mosaic of human-dominated landscapes from Mexico to Argentina that are vital to maintaining the genetic diversity and survival of the species. Cupped between Panama to the north and a handful of South American countries, Colombia holds the key to the jaguar’s passage from Central America to South America. Just in time for the latest expedition, Panthera today launched a new, interactive Journey of the Jaguar website, allowing users to follow Panthera’s jaguar scientists in real-time, and showcasing the fascinating stories, photos, and videos of the people, wildlife and landscapes the team encounters along the way. Timed with the launch of a new conservation program in Mexico earlier this year, the first Journey of the Jaguar expedition explored Mexico’s Yucatán Peninsula, home to part of the country’s largest jaguar population. In April, Panthera’s scientists embarked on the second journey, traveling on foot and by mule from southeastern Arizona into Sonora and Sinaloa to assess the Northern Corridor’s unique threats and greatest conservation needs. 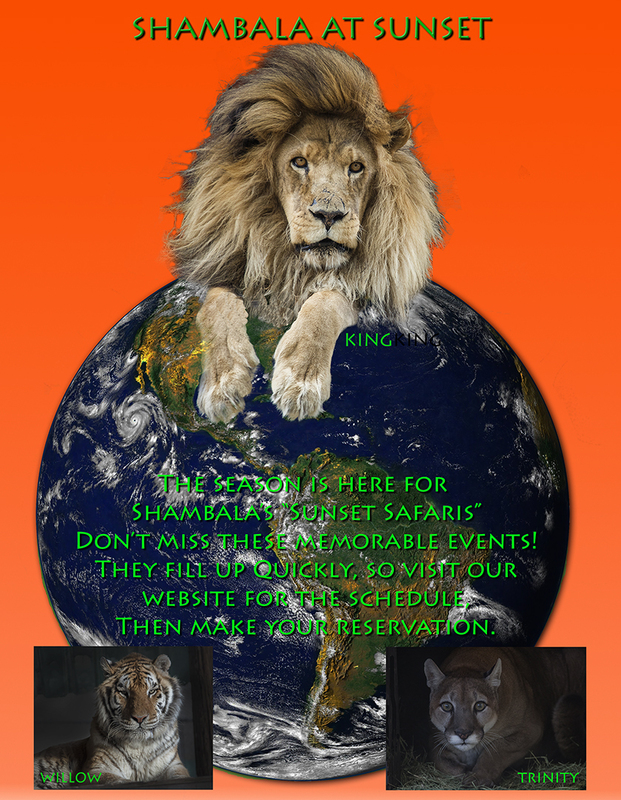 Visit journeyofthejaguar.org to learn more. Panthera’s Jaguar Corridor Initiative is the only conservation program to date which seeks to protect jaguars across their entire six million km2 range. In partnership with governments, corporations and local communities, Panthera’s Jaguar Corridor Initiative is working to preserve the genetic integrity of the jaguar by connecting and protecting core jaguar populations in human landscapes from northern Mexico to northern Argentina. Learn more. WASHINGTON (March 30, 2017) – Big Cat Rescue, Born Free USA, the International Fund for Animal Welfare, The Humane Society of the United States and the Humane Society Legislative Fund applaud U.S. Representatives Jeff Denham (R-CA), Walter Jones (R-NC), and Niki Tsongas (D-MA) for introducing the Big Cat Public Safety Act (H.R. 1818). The bill would advance animal welfare and protect public safety by prohibiting possession and breeding of tigers, lions, leopards and other big cat species by private individuals and unqualified exhibitors. 33 lions, rescued from appalling conditions in circuses in Peru and Colombia by Animal Defenders International (ADI), surely cannot believe their eyes this morning as they roared in their first sunrise in the African bush. A record-breaking cargo flight with all 33 lions on board jetted into Johannesburg on Saturday night. The lions, saved during an ADI mission to help enforce bans on wild animal acts in Peru and Colombia, are now settling into their forever home at Emoya Big Cat Sanctuary, situated on a private estate in Limpopo Province. Many of the lions have been declawed and have broken teeth so would not survive in the wild. During an 18-month operation in Peru, ADI raided every circus and rescued every animal. Known as Operation Spirit of Freedom, and also providing support on wildlife trafficking enforcement, 100 animals were saved – most, including bears and six different species of monkeys, were rehomed in Peru. Nine circus lions were also handed to ADI in Colombia where a ban has also been passed. A massive ADI relocation effort began on Thursday morning in Bucaramanga in Colombia, with nine lions loaded into travel crates and travelling to Bogota by truck. The same night 24 rescued lions were loaded into travel crates in Peru and taken to Lima Airport. A huge MD11 aircraft chartered from ethical cargo company Priority Worldwide Services then flew the nine lions from Bogota to Lima where they were joined on board for a trans-Atlantic flight to Johannesburg – not without its problems due to a long delay in Brazil due to a computer problem. The lions were monitored throughout the flight by ADI President Jan Creamer, ADI Vice President Tim Phillips, and ADI veterinarian Eva Chomba. The lions arrived in South Africa on Saturday evening, bellowing out a huge roar that echoed through the aircraft as they touched down. Trucks donated by Ibubesi Transport Logistics then carried the lions to Emoya Big Cat Sanctuary in Limpopo, arriving Sunday morning. The dawn of a new day marks their first full day of freedom under the African sun and new beginnings for the lions in the natural bush environment they now call home. Returning to the homeland their ancestors had been torn from, the lions can feel the African soil beneath their feet and the sun on their backs, protected within an environment they can be given the care they need. One of the nine lions from Colombia, Iron, was the first of the 33 to step into his forever home, clearly relishing being able to rub up against a tree, another first for the big cats who had formerly lived in cages on the back of circus trucks. The lion flight marked the epic conclusion of the ADI rescue mission in Peru, which TV legend Bob Barker’s DJ & T Foundation helped kickstart with a major donation that enabled ADI to start raiding circuses and removing animals. The cost of the lions’ first class ticket to freedom was funded through an online campaign by ADI and GreaterGood.com, with individuals including Oakland Zoo, Dr. Lo Sprague & Rev. Dr. Gwynne Guibord, Elise Zoli, and the Facebook group ‘Lion Lovers’ stepping in to fund the $10,00 airfare of individual animals. Businesses have also donated services and goods or discounted services to help get the lions home including Priority Worldwide Services who chartered the MD11F cargo aircraft, Spherical Logistics and Swissport International at Johannesburg Airport, and fencing manufacturer Bonnox, Lood Swanevelder Fencing, Faan Venter, Ibubesi Transport Logistics, and Chill Box (who donated a freezer room at the lions new home). ADI and Emoya would like to thank the Peruvian Government departments, SERFOR and ATFFS, and Police and in Colombia CDMB, a regional wildlife authority in Bucaramanga for enabling this incredible operation to happen. Worldwide end to use of wild animals in traveling shows: The evidence that the suffering caused to wild animals by the constant travel, severe restrictions on movement and unnatural lifestyle has prompted authorities and governments around the world to end their use. National restrictions on performing animals in travelling circuses, either wild or all animals, have been enacted in 32 countries – Austria, Belgium, Bolivia, Bosnia and Herzegovina, Bulgaria, Colombia, Costa Rica, Croatia, Cyprus, Czech Republic, Denmark, Ecuador, El Salvador, Estonia, Finland, Greece, Hungary, India, Iran, Israel, Malta, Mexico, Panama, Paraguay, Peru, Poland, Portugal, Singapore, Slovenia, Sweden, and Taiwan, The Netherlands. Similar laws are under discussion in the UK, USA, Brazil and Chile. The epidemic of big cat ownership threatens public safety. According to the Born Free USA Exotic Animal Incidents Database, reported incidents involving captive big cats have resulted in the deaths of at least 23 people since 1999, five of them children. In many cases, the animals were shot and killed, often by first responders who were neither trained nor properly equipped to handle the situations. Private big cat ownership also subjects the cats to cruel mistreatment. They frequently come from a vicious breeding cycle in which babies are separated from their mothers and sold as cubs. Pet big cats are often declawed and defanged in an effort to "tame" them, and are kept in cramped cages, fed unnatural diets, and deprived of contact with other members of their species.